Maelle Kids Magazine is a print and digital boutique kids fashion and lifestyle magazine. 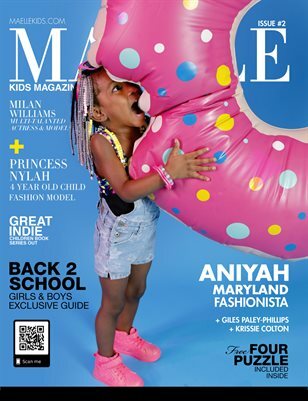 Eleven year old actress and model Milan Williams lead this issue. Also featuring Jayden Perez, Princess Nylah, Giles-Paley Phillips, Na'Vaera, The Best Laptops for Kids, How to get your child into modeling or acting, Back 2 School Guide and more.